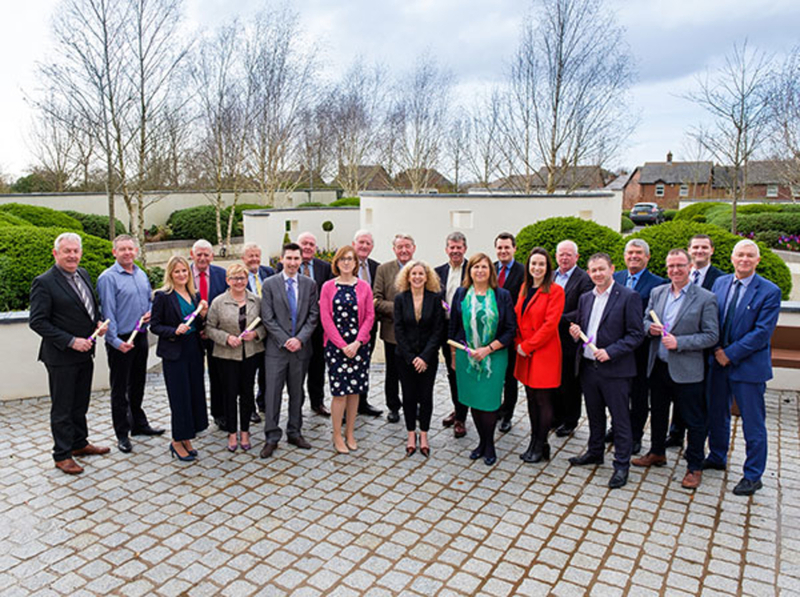 The completion of a Northern Ireland Local Government Association (NILGA) driven pilot, independently accredited, Local Planning Leadership Programme by 18 Councillors from across Northern Ireland was recognised by the Institute of Leadership and Management (ILM) and NILGA on Friday 22nd March 2019. In acknowledgement of this pioneering and future policy shaping achievement, recognition was affirmed at Antrim and Newtownabbey Borough Council’s Antrim Civic Centre for the Class of 2018/19. The Programme - which ran from April 2018 to November 2018 - involved eight substantial learning modules. “When the opportunity presented itself to design a taught planning programme matched to the needs of councillors in Northern Ireland, I was immediately interested in this as a project. As a planning specialist, I am only too aware of the importance of locally elected representatives having the knowledge and capacity to make good planning decisions. Such decisions are key to the delivery of the social, economic and environmental wellbeing of our citizens. Further, I was particularly pleased the Programme was to be fully accredited and worked with Dorothy McKee Consulting and Dr Gavan Rafferty, Ulster University, to ensure that assessment for this accreditation was thorough whilst being tailored to the busy schedules of councillors. Collaboration amongst councillors, an extensive team of facilitators and the team at NILGA (particularly Fiona Douglas), whose enthusiasm in getting this programme of the ground and getting it delivered in an efficient manner, enabled us to do something really ground-breaking that will serve to improve the delivery of visions for each Council’s vision for the future of its area” said Diana. “Such bespoke, accredited, Local Planning skills for elected members represents a first for N. Ireland and it’s refreshing that other parts of the UK and Ireland are looking at our work and want to follow NILGA’s lead. “Today eighteen councillors are planning accredited - they are great ambassadors for and clearly competent in one of the most important roles determined by local government in NI, said Derek.